Incorrect ratings assigned to products (G-rated items appearing as Adult, etc.). (WEB-4587) Listings show up with images from other Merchants listings:Current status: we have identified the problem and are working on testing the fix. The fix apparently didn’t work, as the issue was subsequently reported as one the Commerce Team would address “after the next Marketplace update“. This only problem here being that subsequent updates failed to address the majority of JIRA relating to Marketplace issues, including WEB-4587 – and then stopped altogether – something with prompted me to comment on the continuing erosion of merchant trust. For those of you who have had an incorrect image appearing on your listings–or have seen your image on someone else’s listings, we have come up with a supported process to get these listings cleaned up. If you are seeing someone else’s image on your listing, you should be receiving an email with a link for you to go remove those images from your listings. These images will be returned to the listing we have identified as correct. Any listings not reviewed by May 15, 2013 will be unlisted until the Merchant has a chance to remove the image manually and reactivate the listing. We will provide a summarized list of these and notify all Merchants whose listings have been deactivated. The Merchant will be notified to review their listing and confirm that the image does not belong with their listing. The image will be returned to your listing. At this point, you will be able to review your updated listing here (link). This may occur after the review period for step 1 has already completed. If the listing your image is appearing on is not reviewed in step 1, the listing will be unlisted to prevent your image from appearing on the incorrect listing. We appreciate your help in getting this cleaned up. So the good news is, there is actually movement on the matter. Admittedly, in reading the forum post, I cannot help but conjure a mental image of some poor sod (or three) at the Lab having been tasked with spending the last 12 months digging through the Marketplace and manually checking images against project descriptions / links – but movement is movement, and is, on the whole, to be welcomed. There are some issues being reported with the process, however, as noted in the thread following the announcement. Some of these issues appear to be related to items which, in lieu of any communications from the Commerce Team, merchants opted to previously manually remove from their listings, and other appear to indicate that not all incorrect listing items have actually been captured by whatever process was used at the Lab. Others are reporting mixed outcomes simply as a result of following the given instructions. It’s not clear how widespread issues are in following the instructions; certainly the problems being noted appear limited going on the amount of feedback on the thread. Not that this is any comfort to those affected, but it perhaps indicates that for most people who were blighted by the issue, things are now being put right. Therefore, if you are selling items at L$10 or less, and haven’t already migrated them to Direct Delivery – you’ll need to set aside time ASAP or risk seeing them unlisted as from April 3rd. To assist with migration, the Lab has a Direct Delivery Migration FAQ. Also, for those who have experienced specific issues with DD in the past, the Lab has re-issued the Merchant Outbox project viewer with some fixes which should overcome any issues previously experienced. There is still no confirmed date by which limited-quantity items must be migrated to Direct Delivery, and the Lab is still intending to present merchants with a 30-day lead time for migration once the date has been set. As recently reported, Linden Lab have announced the first step in the retirement of Magic Boxes in order to encourage remaining merchants who have not done so to swap over to Direct Delivery. At the time I posted that piece, I noted that a major stumbling block in the adoption of Direct Delivery was the fact that while it tended to work flawlessly for some (myself included), for others it has been at least as problematic as using Magic Boxes, and that Marketplace issues with DD were potentially as widespread as those for Magic Boxes. 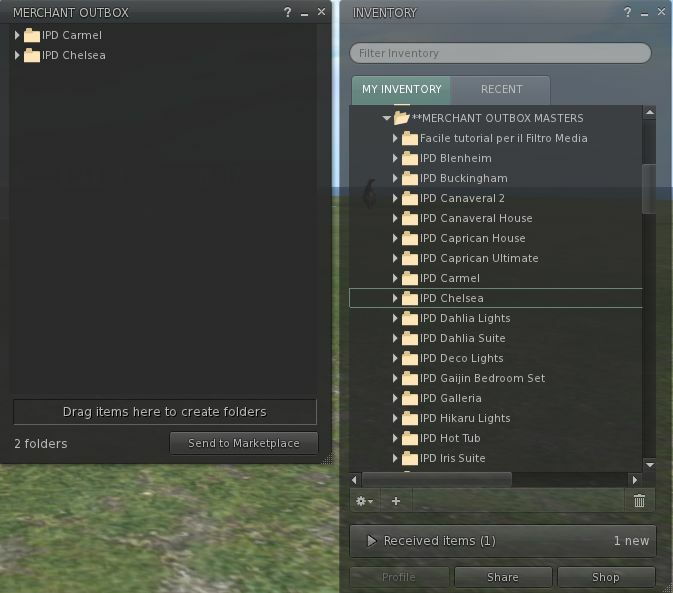 Launch an updated Merchant Outbox project viewer. This viewer, built on 3.4.4 code, and so pre-CHUI, is designed to overcome all Merchant Outbox issues recorded in JIRA WEB-4600, and the advice for anyone still encountering migration problems is to give this viewer a run. If you’ve been using a more recent (3.4.5 or 3.5.0 code base) LL viewer, note that you might find your toolbar buttons vanishing when you run this project viewer – it’s a known issue, and buttons can be restored from the Button Toolbar. In addition, Dakota Linden has been responding to requests and questions regarding migration posted to the Merchant’s forum, and her responses may also be of assistance to those encountering problems. 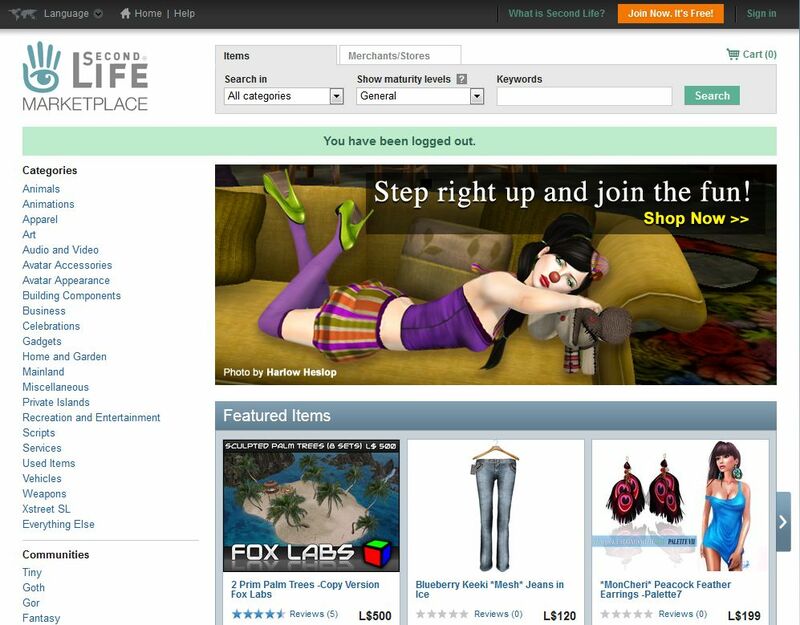 SL Marketplace: Magic Box “retirement” commences in April. Direct Delivery launched on March 21st 2011, I was perhaps one of the first to dive in a give it a go, and my own experience was – and remains – broadly positive. However, it is fair to say that it wasn’t long before issues started to occur – and to grow in significance. So much so, and despite attempts by the Commerce Team to drive merchants into using Direst Delivery, the date by which Magic Boxes have been due to start being retired has been repeatedly pushed back over the course of the past twelve months as issues with both Direct Delivery and matters such a listing errors, repeated errors in listing enhancements billing and other upsets, served to erode merchants’ trust in both the Marketplace and LL’s own Commerce Team. This latter point was not helped by the Commerce Team themselves, who rather than engage with merchants, opted to withdraw from communications (despite Rod Humble stepping into the fray – twice), and in obfuscating matters further by simply ceasing to publish updates on progress made in fixing issues (the last update being around November 2012, prior to all updates being quietly removed from the Merchants’ sub-forum within the Commerce Forum. The current situation regarding outstanding issues with the Marketplace and Direct Delivery remains unclear. While reports of issues and problems seem to have decreased somewhat, it is unclear whether this is due to the Commerce Team making progress in resolving issues or perhaps merchants have simply given up trying to raise the same concerns over and again. As such, it is possible that this announcement may be met with some trepidation, even though no final date for shutting down all Magic Box capabilities has been given. Marketplace category changes: We’re working on some proposed updates to these categories and will give you the opportunity to provide input. Stay tuned for more details – including a survey. Of particular interest here are two statements – that the Commerce Team are “evaluating ways to improve communications practices with Merchants”, while simultaneously refusing to agree to in-world user group meetings. On the subject of the former, the Commerce Team point to their recent e-mail to merchants extolling the virtues of Direct Delivery; virtues which are, as I commented at the time, actually non-existent for many in receipt of the e-mail because Direct Delivery is for them proving to be at least as unreliable as Magic Boxes (and the Marketplace in general). As such, I’m actually unclear on exactly how such an e-mail is actually “improving” communications practices given the frustration it might generate, much less addressing technical and support issues “effectively” – but, c’est la vie. The refusal to hold in-world meetings, although hardly unexpected, is regrettable. While it is true that in this day and age, face-to-face meetings are not always required in order to resolve technical issues and problems, the fact remains tat face-to-face meetings – even in the digital domain – do serve a valuable purpose. They help promote a more positive attitude between people and they encourage greater mutual support and respect for one another (and I’m deliberately not mentioning the very practical results which can come out of such meetings by way of ideas and suggestions for dealing with issues and problems or providing LL with information on issues of which they may have no prior knowledge). 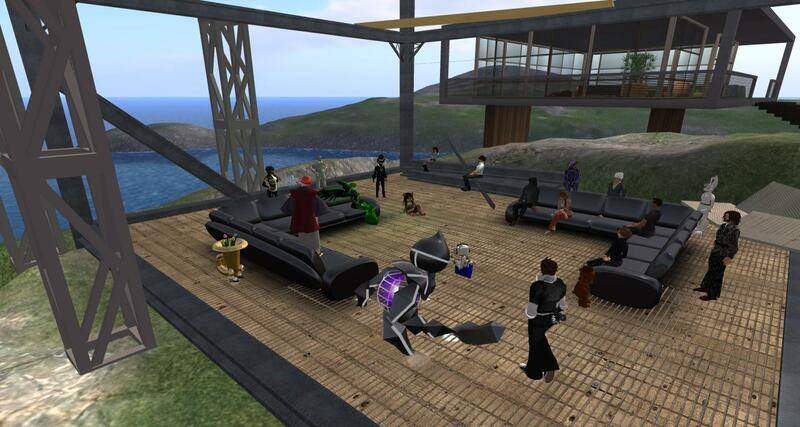 Anyone who has ever been to other SL user group meetings cannot fail to note the appreciation and understanding they generate towards LL. sure, there may be occasional bursts of frustration when things are going wonky somewhere on the grid – but by and large both sides of the equation – Lab and users – benefit from the interaction and exchange. It’s therefore regretful that the Commerce Team continue to step back from in-world interactions with merchants. While the initial meeting may well be a little rough on them – I would venture to suggest that the vast majority of merchants would actually welcome the opportunity to have such face-to-face meetings and would be only to willing to engage with the Commerce Team fairly, rationally and respectfully. Of course, there is the little caveat to the Commerce Team’s rejection on the idea of in-world meetings, the “At this time.” This suggests that at some point in the future they may well reconsider their position. I hope they do – and that they do so sooner rather than later – because doing so really would be to be to their credit and do far more to help to “improve communications practices with Merchants that will allow us to address technical and support issues more effectively” far more than any number of bland e-mails or forum posts is ever likely to achieve. Merchants still using Magic Boxes are in the process of receiving an e-mail from the Commerce Team urging them to swap to Direct Delivery. You are receiving this email because you have at least one listing on the Second Life Marketplace that still uses an outdated delivery process, known as Magic Boxes. Why should you update to Direct Delivery? Linden Lab has already started to phase out support for Magic Boxes. In order to ensure uninterrupted service to you and your customers in the future, we strongly encourage you to migrate as soon as possible. It’s easy to do – and worth it for both you and your customers. We’ve made it easy for you to update your older listings to Direct Delivery. Many of our top merchants have already migrated and found the process relatively painless. For more information, please check out this Knowledge Base Article or watch these tutorial videos covering the Direct Delivery Basics, andMigration to Direct Delivery. What are the benefits of Direct Delivery? Support for a dedicated “Received Items” folder where your customers can quickly and easily find all of their Marketplace purchases. NOTE: Limited quantity items (items that a Merchant cannot copy) are not yet supported by Direct Delivery. If you have problems migrating, please contact customer support with questions or issues. The e-mail does tend to overlook the fact that for many merchants, Direct Delivery is at least as unreliable as Magic Boxes, and prone to more-or-less the same failures. This is something I pointed out in my last post on the matter, wherein I made mention of the fact that the core issues within the Marketplace are occurring regardless of whether someone is using Direct Delivery or Magic Boxes. WEB-4441 is a case in point which is related to problems Merchants are encountering regardless as to whether they are using Magic Boxes OR Dirrect Delivery (yet it is still at times used by Commerce Team members as evidence that problems they may be experiencing with Magic Boxes are effectively “their own fault” for not having migrated). Frankly, until these issue are resolved, it would appear that there is actually little benefit for those merchants who haven’t yet migrated from doing so. Certainly, a “2.5% faster” delivery time is of little benefit if the reasons why delivery fail remain the same regardless of the mechanism used (Magic Boxes or Direct Delivery). At the end of the day, it’s up to individual merchants as to whether they migrate. Some are remaining adamant that they won’t until issues are resolved or are at least shown to be improving. While I’ve not had any issues (so far as I’m aware) since converting to DD, I nevertheless can’t say I blame them; they have much more at stake than I. In the meantime, it appears the cut-off date for Magic Box migration remains “on hold”; there has been no update on this since the (now removed comment from the Merchants forum), nor, except in the most generic of feedback, has there been any real update as to resolving the myriad of issued the Commerce Team have been dealing with for the better part of a year (or more). It’s not just the tempo, Rod, it’s the quality of the information supplied.